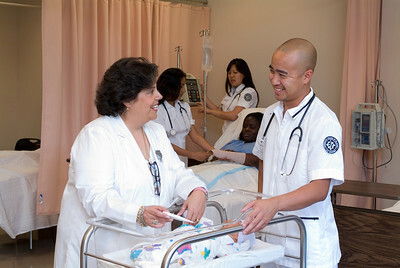 The division offers four undergraduate Nursing programs and expert instruction. The demand for qualified nurses is more acute today than ever before, and Dominican College’s highly acclaimed Nursing Division rises to the occasion with outstanding opportunities for those who aspire to this challenging professional work. With expert clinical faculty and a myriad of clinical sites, Dominican College prepares graduates to fill roles as registered nurses poised to meet the unique health care challenges of the 21st century. are recognized by the Kaplen Foundation with an award of a four-year full tuition scholarship to one outstanding freshman nursing student every year (Traditional students only).